Lots of alphaness, lots of sexiness, but with a deeper, more introspective slant than the other Colorado Mountain books. The final book in The Colorado Mountain series is Deck and Emme’s book. I was so excited to immerse myself in all things Jacob Decker. We met him in Breathe, as Chace Keaton’s best friend and there was just something really alluring about him even then that had me wanting more. This book felt a little different for me than some of the other KA books I’ve read. It had all the typical elements we’ve come to expect, but it felt as if the pacing was a bit different. It took a bit more time for us to really get to know our female heroine, Emme, and thus, longer to connect with her. The story didn’t feature action and suspense as preeminently as other books and so the middle part of the book felt a bit slower for me than usual as we dug a little deeper and got to know Emme… her history, her struggles and her love of Deck, which goes back so many years to a time when a future together wasn’t possible… unless he turned the dial that is. Deck finds himself in Gnaw Bone, meeting with Mick, Chace and the gang for a contract on a case they can’t seem to crack. Little did he expect to run in to Emme, who is now a beautiful woman with long, highlighted hair and a trim figure with a sharp mind and unmistakable voice he’d recognize anywhere. Emme was Deck’s ex-girlfriend’s (Elsbeth) best friend. For so many years, the three of them were inseparable, and somehow, despite him being with Elsbeth, the true connection was between Emme and Deck. It was a true meeting of the minds… a convergence of both an effortless friendship and a challenging, yet welcome mental engagement. But when the relationship broke apart, and Elsbeth drove a wedge between the two of them, she walked out of his life leaving him alone, save for a Kaleidoscope and her foreshadowing words that would linger in his memory. Since then, Deck has lived his life, women in his bed, friends to lean on, a job he loves… but it’s all been devoid of the kind of love he just recently saw his friend Chace find. The kind of connection he wants for himself. Seeing Emme again suddenly opens the wound from so long ago, realizing that the most important thing he lost so long ago, was the special relationship they shared. Being the smart, focused, alpha mountain man that Deck is, he wastes no time in pursuing what his gut tells him is right. Emme, however, has a boyfriend who is nothing but bad news. Seeing Deck again also stirs up some deeply buried feelings that flood her in an instant. Very quickly, Deck goes to work on having Emme lose the bad-news boyfriend, whom he knows much more about than she realizes, and then subsequently, just as quickly goes to work on building a relationship with the one girl he realized he never forgot. Her words from so long ago echo constantly in his head… he just had to turn the dial on life to find a new kind of beauty that was all his. This book centers around Emme and the internal struggles that she doesn’t even realize she has. Deck, being the smart, observant man he is quickly picks up on the fact that Emme’s light doesn’t shine as bright as it should… as it once had. There’s something more. Something deep that precludes her from being the person she was… alive and bright and confident. As soon as things get serious, she begins to disconnect and withdraw into herself. To Deck, not only is she the girl that he wants to build a future with, but she’s also a puzzle. And one thing we know about Deck is that if there’s an unsolvable puzzle, he wants nothing more than to figure it all out. Emme has held herself back from connecting… held herself back from getting hurt… and as a consequence, held herself back from truly living life. In a sense, I think that fiction mimicked reality because not really understanding who Emme truly was impeded me from connecting with her. She seemed mercurial and I didn’t immediately love her like I have all the other female characters in the KA stories I’ve read. But her issues are warranted, deep and complicated, and I certainly understood that, but I just didn’t feel her. By the time we understand the truths she hides and the feelings she’s buried for so long, we were far into the story line. The last part of the book really sped up the pacing as the climax unfurled, captivating me more completely. I know I’ve never said the following statement before, but I actually wanted more from the Epilogue. She gave us goodness there for sure, but I’ve grown accustomed to a more extended version of happy happy and I wanted to see more of that. Now, don’t get me wrong, I really enjoyed the book! 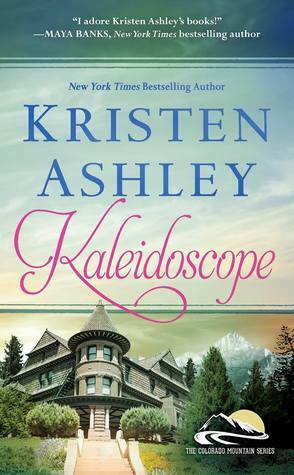 It’s Kristen Ashley after all and it held my attention from beginning to end. It had the girl posse of all the women we’ve come to love and the boy posse comprised of all those good mountain men that love their women hard and are unfailingly loyal to each other. One of the relationship dynamics I enjoyed the most was once again that of Deck and Chace. The kind of friendship they have is deeply fulfilling. They’ve gone through so much together and they are brothers bound by love and life and that will never change. Overall, I’ve LOVED this series and feel wholly satisfied knowing all these characters have found their happily ever after in the idyllic mountains of Colorado.